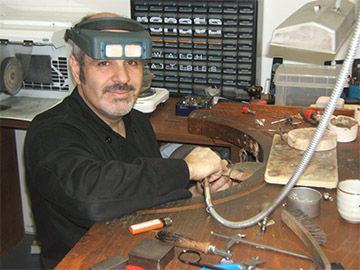 Inspired by the Art of Design & Quality for over 30 yrs our “Master” jeweler, Jean-Luc Ben Sadoun, can cater to every individual need and budget! With his passion and this ancient knowledge he will cast his “Magic” by blending Precious Metals and Beautiful Gemstones to create for you a Unique, custom, piece of art! 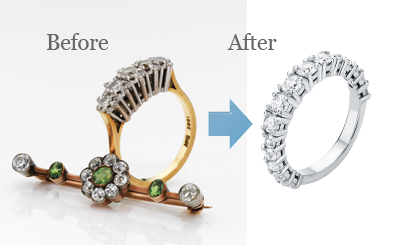 If you desire an Exclusive jewelry creation that reflects your own personal style, need to clean or repair your favourite ring, or want to restore an Old treasure into New, maybe you need a certificate/insurance appraisal? At Klinik Bijoux in Montreal you will find everything you need! Style and Elegance or Funky and Fun! Jewelry that suits You and your Unique Personality! With a classic or modern touch, your imagination helps guide us to create the one & only exclusive piece you have always dreamed of. Come share the passion for our profession in a friendly atmosphere in our shop.